Gardeners have many reasons to feel fortunate about living in B.C., and the ability to enjoy colourful blooms even in the depth of winter is certainly one of them. In fact, the southern coast and southern Vancouver provide ideal growing conditions for a number of winter-flowering plants. Those of us who live in these regions also know that our winter begins with the monsoons of November and ends in February, no matter what official dates the calendar may dictate. Because winter flowers bloom during the darkest days of the year, they are all the more precious and deserve a place in your garden that is not only sheltered, but that allows you to easily view the blooms from the comfort of your favourite chair indoors. To enhance the beauty of these winter gems, be sure to give them a dark backdrop, such as an evergreen hedge or dark-stained fence. This will allow every bloom to show up to perfection. Here are just a few of my favourite winter-bloomers, all of which have quite individual soil requirements. While some of these plants are hardy in Interior and northern gardens, keep in mind that they may not bloom in these regions until early spring. Viburnum x bodnantense is a cross between V. farreri and V. grandiflorum, both of which are quite lovely in their own natural forms. However the hybrid gets its name from the famous Bodnant Gardens in North Wales where it originated in 1935. It is a shrub that reaches about three metres in height and is hardy to –20°C. On the coast it often starts to bloom before its leaves have dropped in early November and continues on and off right through to late February. The sweetly scented flowers are borne in tight clusters at the tip of every branch and side spur. Plant one near an entry to your home so its fragrance can be enjoyed by everyone who comes and goes. The early winter flowers tend to be white whereas those that open from December onward are quite pink. Heavy frost can damage open blossoms, but there are so many flowers to follow that as soon as the temperature rises above freezing they start opening again. As far as soil goes, this viburnum isn’t too fussy. In fact, ours at the UBC Botanical Garden thrives in poor soil with absolutely no moisture retention. As with many woody plants, the best blossoms are carried on younger wood (in our case, two-year-old wood). With shrubs older than three or four years, don’t be afraid to prune out one or two of the oldest branches right to the ground soon after flowering has finished in the spring. Rhododendron barbatum isn’t as easy to find in garden centres but is worth seeking out at specialized nurseries or rhododendron society sales. It is also restricted to coastal regions as it is only hardy to –10 to –15° C. You will need a large garden, as it can reach six metres or more in height and width (although this would actually take 50 years or so in our climate). 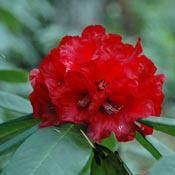 This wonderful rhododendron comes to us from the Himalayas and blooms as early as February in milder winters. It has the deepest-red trusses of flowers that are heavy with nectar (while the nectar tastes sweet, too much can be toxic). It requires a good deciduous woodland-type soil, so any leafy compost is ideal for its success. In the Asian garden at UBC, when all the rhododendrons were planted 20 years ago, their planting holes were filled with compost derived from city street leaves that had been composting for four years or more. Cornus mas is better known as Cornelian cherry for the fruits that form later in the year. This tree comes to us from Europe, is hardy to –25°C and so easy to grow throughout much of B.C. 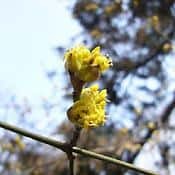 The many clusters of minute, star-like, yellow flowers that cover this small tree in late February are often mistaken from afar for witch hazel (Hamamelis). As a small tree it can reach eight metres in height, making it ideal as a specimen tree for the smaller garden. I have also seen people treat it as a shrub by keeping it pruned. It isn’t too fussy about soil conditions but hates to have waterlogged roots over winter. Galanthus nivalis is an amazing little snowdrop hardy to zone 4, making it definitely garden-worthy throughout much of the province. It is native to the mountains of Europe and Asia Minor. One particular grouping in a garden close to UBC used to always bloom late December or early January. We searched for these snowdrops every year to remind ourselves that spring was just around the corner, even if it was still January. 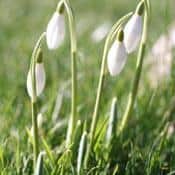 Like all bulbs, snowdrops need well-drained soil and if you are particularly interested in them there are other December-blooming ones worth seeking out. Erica carnea or winter-blooming heather is terribly under-used in coastal gardens. Some are hardy to zone 5, and I saw some doing beautifully in a Kamloops garden earlier this year. The key to their success is well-drained soil, making them ideal for planting on slopes or in raised beds. And the most amazing thing is that just like clockwork, their blossoms start to show colour early to mid-February, whatever the weather. Snow and frost do not deter them. They are quite woody perennials and like all heathers, bloom best on the current season’s growth. The trick is to wait until after the blooms have finished (usually in April) to give the plants a haircut with your hedging shears. This will encourage many good flower spikes the following winter. There are many named cultivars in the group; a couple to look out for would be ‘Springwood White’ and ‘Springwood Pink.’ I have fond memories of seeing these interplanted with the tiny bluish-purple Iris reticulata in Winterthur garden in Pennsylvania many years ago. I didn’t have a camera at the time but the image remains vivid in my mind. 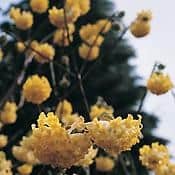 Edgeworthia chrysantha, formerly known as E. papyrifera, is a most amazing winter-flowering shrub native to China but widely cultivated in Japan where its bark is used in the making of special paper. 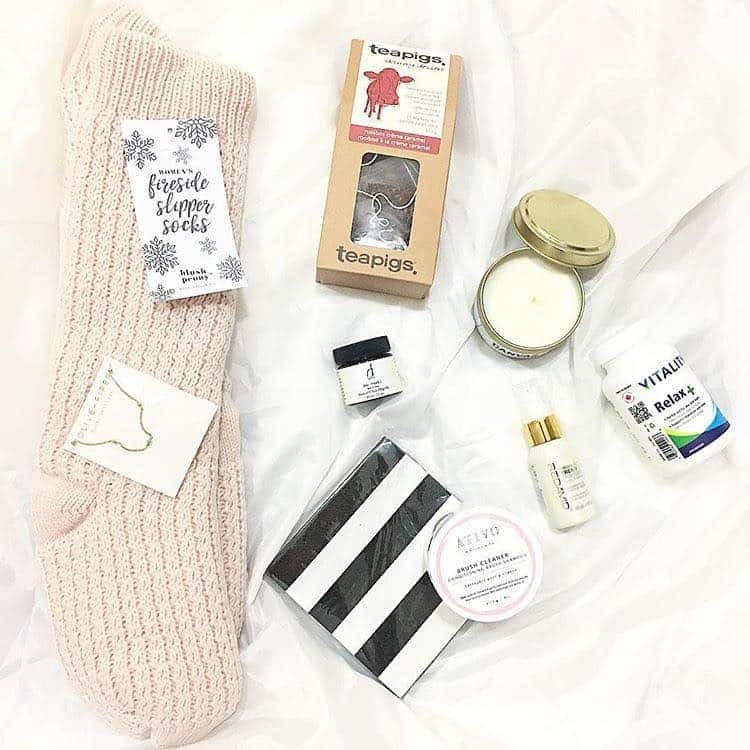 This one is also only suitable for the milder parts of the province where it can tolerate temperatures down to –15°C. It seems to prefer well-drained soil conditions although it responds well to a light top dressing of compost each spring. At maturity the shrub is only about two metres in height and needs to be planted on a bank or above a retainer wall so that one can view the flowers from below. The clusters of flowers face downward and are surrounded by soft hairy calyces. The other advantage of having this shrub at nose level is that the flowers smell delicately of lemon. Prunus mume is the much-revered winter plum of ancient classical Chinese gardens. You can see a beautiful white-flowered specimen in The Dr. Sun Yat-Sen Classical Chinese Garden in Vancouver’s Chinatown. 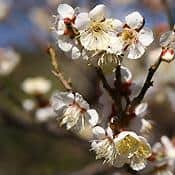 Technically the tree is an apricot native to China but widely grown in Japan, hence its often-used common name, Japanese apricot. It is a small tree hardy to –15°C. Ours is pale pink and when in bloom reminds me of a beautiful brush-painted scroll from the Orient. The individual flowers are dotted all along the branches and are lightly scented. This particular specimen is in very well-drained soil planted above a drystone retainer wall. Be warned: they take a few years to reach blooming stage. Ours was threatened with being taken out when it was seven years old, but it bloomed heavily that year and has every year since. This lovely quote from the book Shrubs by Roger Phillips and Martyn Rix (Random House) says it all: “Prunus mume is of great and defined beauty, but rare in cultivation.” If you stumble upon one in a garden centre, buy it, bring it home and plant it immediately. Eventually it will reward you with bloom late February or early March. 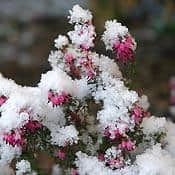 This is just the tip of the iceberg when it comes to the winter-flowering plants available to B.C. gardeners. To view some good specimens of these winter beauties, visit the UBC Botanical Garden or the superb Doris Page Winter Garden at the Horticulture Centre of the Pacific on Vancouver Island anytime from December through February. 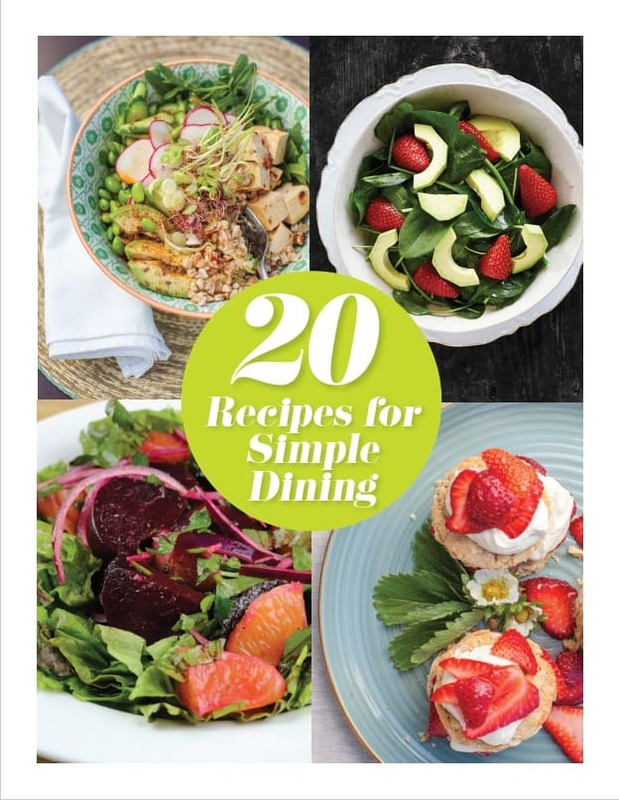 David Tarrant is a well-known gardening expert, author, and host of "Spring," currently on HGTV. 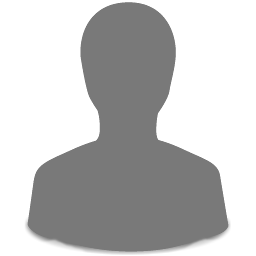 Read his GardenWise blog!